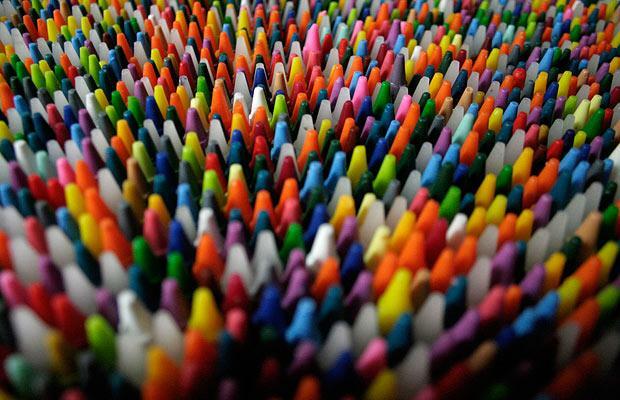 Crayons are one of those inventions that tend to keep everyone happy. They are a tool for people to express themselves and with them being so safe to use, just about every child tends to use crayons from a very young age. Now the only problem with crayons is that sometimes they are too delicate, and this results in the crayons breaking apart. Most of the time, people tend to go on and throw away these broken crayons, since they see no real use for them. However, should they pay some attention, they could actually recycle these crayons and use them in productive manners for other things. Using seals on envelops is regarded to be rather cool and amazing by most people. Now with your broken crayons, you can do just this, and save a lot of money on buying products to seal your letters with. All you have to do, is melt the broken crayons in an oven, and make sure that they have turned into liquid. Once this happens, you need to take this crayon liquid out and drop one drop on the envelop you want to seal. After you have done this, you just need to imprint the still melted crayon with an impression/decorative stamp. Once this is done, it will cool and make a seal, with your crayon not being wasted. Another approach that you can adopt is to take the broken crayons and put them in small cups. Fill the cups to about two inches high and then place the crayons into a microwave. Now run the microwave for about half a minute to get the crayons to heat up just a little bit. Once this is done, go ahead and add glitter to the crayons. After this, place the crayons in the freezer and let them freeze out. Once you pull out the frozen crayons, you will have glitter crayons. The last thing you can do is make a new crayon with the broken pieces. First you need to melt the crayons together and make a liquid out of them. After this, put them in a moulding and then place that into the freezer. Let the moulding freeze and pull out your very own, brand new crayons, in colours that aren’t sold commonly.